Remotely monitor office printing and device status. Print from your Smartphone and tablet from virtually anywhere. Finish faster with less standing around using single-pass, dual-head scanning. Stay on schedule with productive print speeds. Handle high-volume printing without worries. Scan documents and send digital files in one easy step--to email, the cloud, network folders, or a USB drive. Efficiently handle large jobs with automatic two-sided printing. Work smarter--access, store, and print business content quickly from the 3.5" color touchscreen. Go from zero to done, right at the MFP--print, copy, scan, and fax with ease. Efficiently manage this MFP, using HP Web Jetadmin to remotely monitor office printing and device status. Get this MFP up and running fast with HP Smart Install--no CD required. HP ePrint allows you to print from your smartphone and tablet from virtually anywhere. Use resources more efficiently with built-in Ethernet networking--easily print and share. Pull print jobs from your pocket--walk up and print right from a memory device via the USB port. 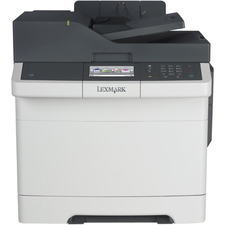 Machine Functions: Copy; Fax; Print; Scan; Printer Type: Laser; Maximum Print Speed (Black): 42 ppm; Network Ready: Yes. 3 1/2" to 8 1/2" x 14"